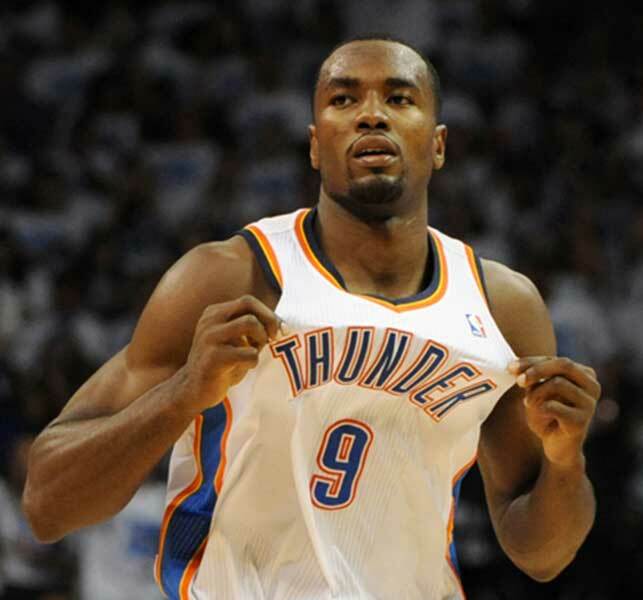 Serge Ibaka was born in Brazzaville, the capital of the Republic of the Congo on September 18th, 1989. His parents were both basketball players, which sparked a passion in a young Serge for the game of basketball. 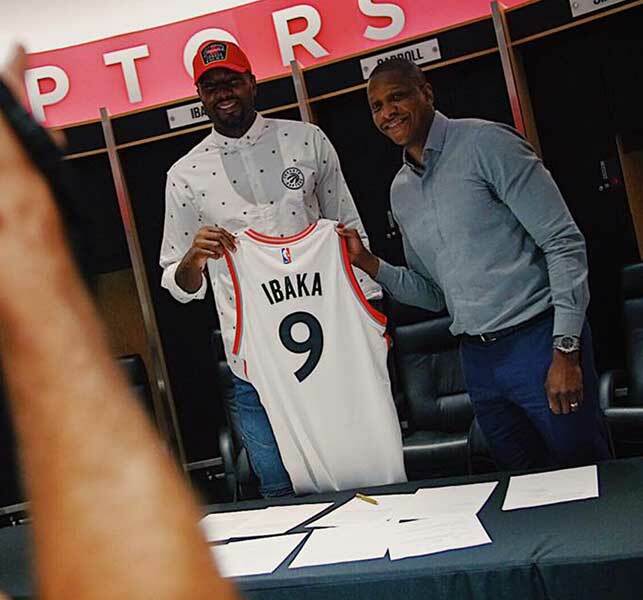 While living in the Republic of the Congo Ibaka faced many adversities that shaped him into the player and global citizen he is today. In his youth, the Congo went through a civil war and It was during these trying times that Ibaka turned to basketball as an outlet. 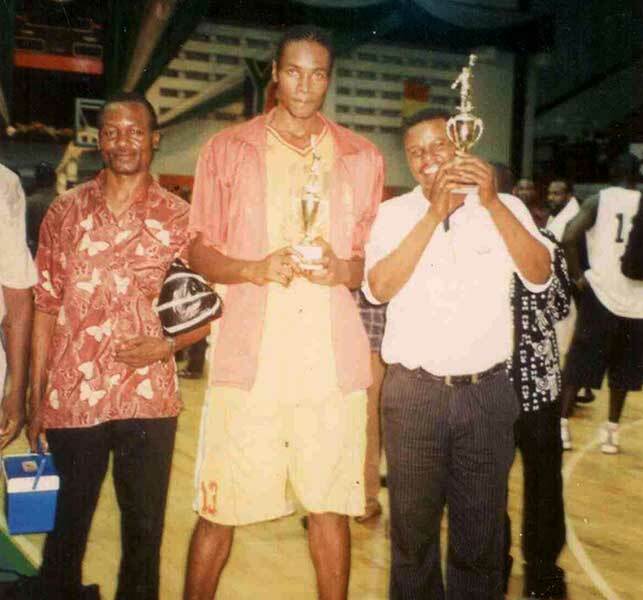 Ibaka began playing organized basketball for Avenir Rail in the Republic of Congo. Soon after starring for Avenir Rail, Ibaka moved to Spain with CB L’Hospitalet in the year 2007. After playing with the junior team and developing into one of the elite youth players, he played professionally for CB L’Hospitalet in the Spanish professional second division league. In Spain he garnered the attention of a multitude of NBA scouts. 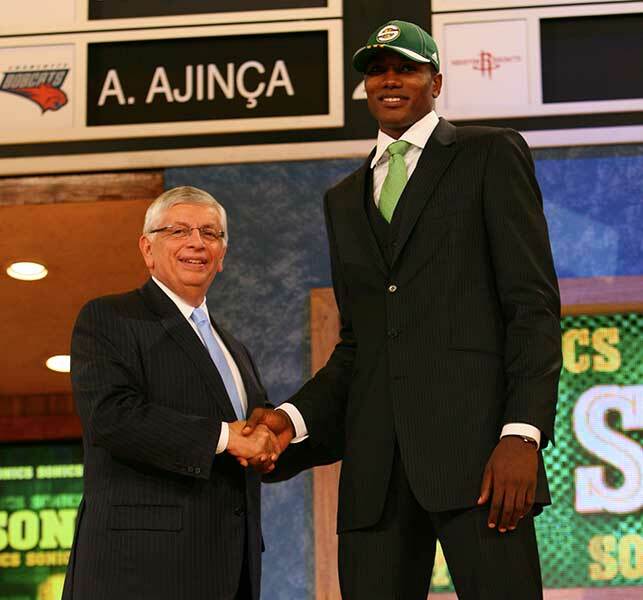 In the 2008 NBA Draft the Seattle Super Sonics (now the Oklahoma City Thunder) selected Ibaka with the 24th pick of the draft. After being drafted, he opted to stay in Spain to work on his game and learn to be a professional player in the best European League, the ACB. 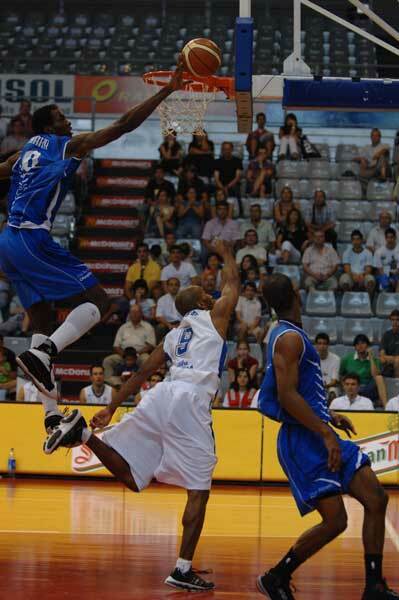 He played the 2008-2009 season with Bàsquet Manresa, becoming the youngest player in the league at 18 years old. 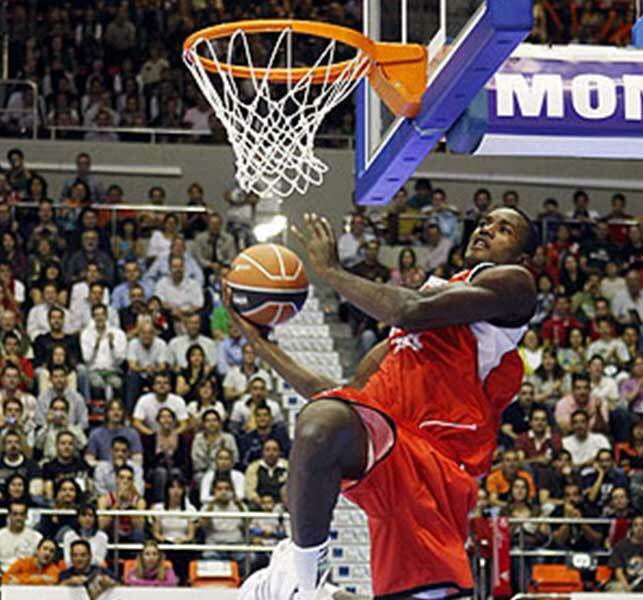 He performed on a high level with them and even won the ACB Dunk contest. 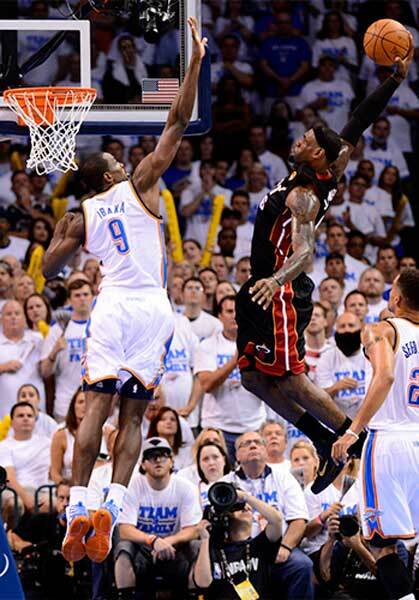 In the summer of 2009 he made the big jump, flying to Oklahoma City to start his NBA career with the Thunder. During his rookie year, Ibaka showed his tantalizing potential by averaging 6.3 points, 5.4 rebounds and 1.3 blocks a game despite only playing 18.1 minutes per game. 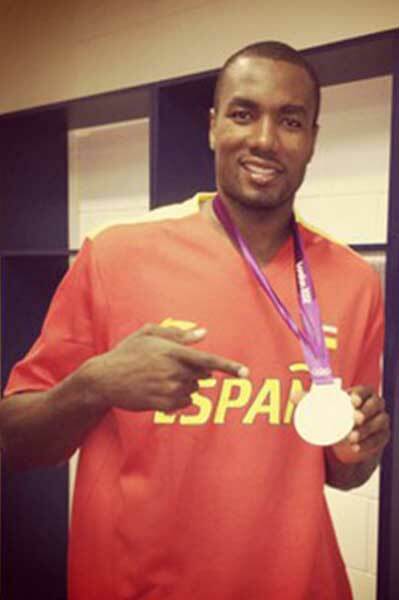 In the summer of 2011 Ibaka became a naturalized citizen of Spain, and he was selected to be part of the Spanish National team. In consecutive summers, Spain won the gold medal at the 2011 European Championship in Lithuania and the silver medal at the 2012 Olympic Games in London. Ibaka had his breakout season in the 2012-2013 season when he averaged 13.2 points, 7.7 rebounds and 3.0 blocks per game leading him to finish third for the Defensive Player of the Year award. 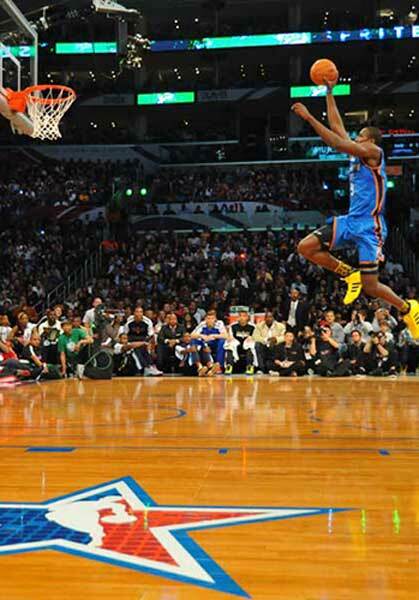 With the Thunder, Ibaka was an NBA All-Defensive First Team member three times, a league leader in blocks three times and a participant in the 2011 NBA Slam Dunk Contest. He established himself as a key component of a top team in the competitive Western Conference and made it to the NBA Finals in 2012 and the Western Conference Finals in 2016. After 7 seasons with the Oklahoma City Thunder, Ibaka was traded to the Orlando Magic during the 2016 summer. In February, 2017, he was traded again, this time to the Toronto Raptors. He finished the season with averages of 14.8 points, 6.8 rebounds and 1.6 blocks. In July, 2017, as a free agent, he chose to stay in Canada, signing a 3 year contract with the Raptors. Already established as one of the top players in the NBA in his nine seasons, Ibaka’s chief mission is to use his platform as a basketball player to have an impact off the court, and specifically help the children of the Republic of Congo and the Democratic Republic of Congo, where his mother was born. Outside of basketball, Serge Ibaka is committed to helping those in need through the Serge Ibaka Foundation. 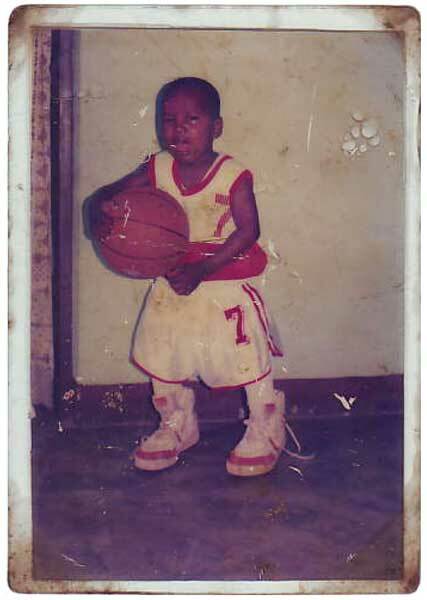 Ibaka was largely molded by his experiences of growing up in an unstable and war torn Republic of Congo. 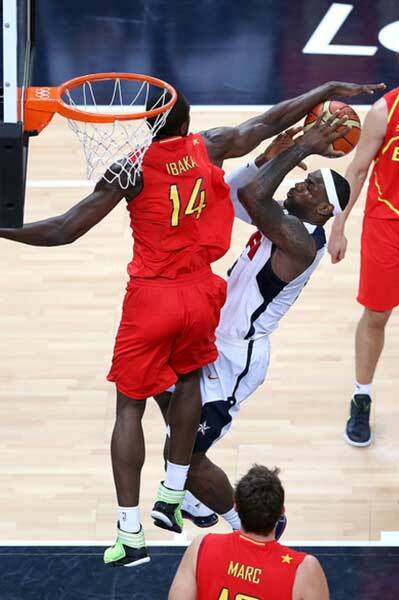 Ibaka has not forgotten his roots and seeks to use his platform as a NBA star to better his home country and the world. He is a UNICEF ambassador in the Congo and developed a project to renovate one all boys orphanage and one all girls orphanage in the Republic of Congo and the Democratic Republic of Congo by providing these orphanages with educational and healthcare supplies and by renovating their respective facilities. 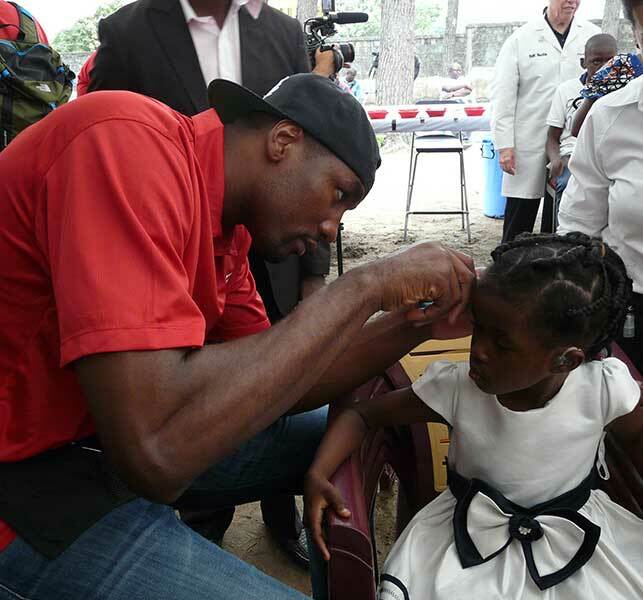 The projects of the Serge Ibaka Foundation include continuing the work with UNICEF and other organizations like Starkey Hearing Foundation, with whom he partnered in the summer of 2014 and 2016 to provide hearing aids to children in Brazzaville. The current projects of the Foundation focus on health and education for orphans in Congo and DRC. 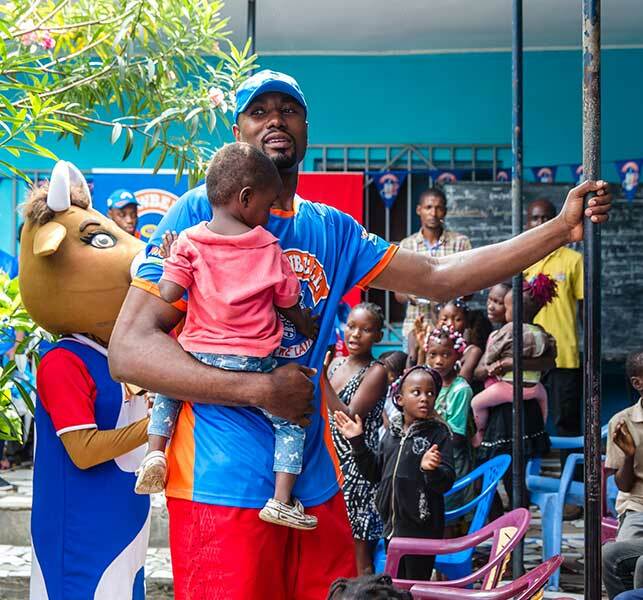 Because of his vast service and charitable efforts Ibaka was awarded the Kia Community Assist Award for the month of April in 2014 and attended the Clinton Global Awards in September of 2014. 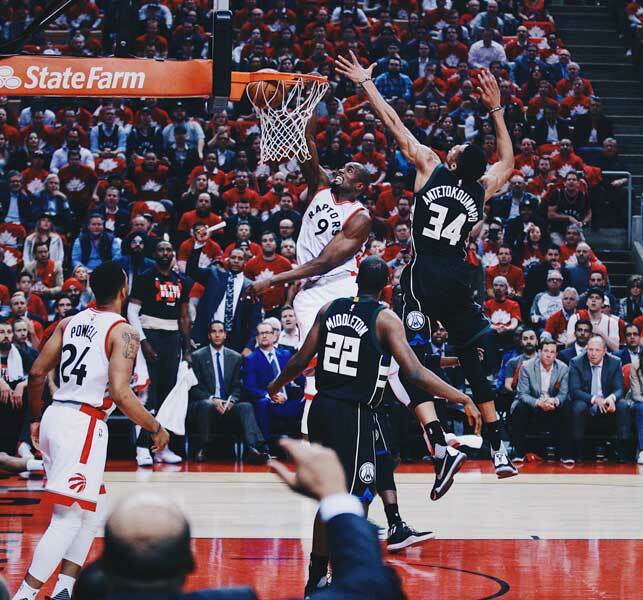 In spring of 2017, Ibaka was invited to be part of the NBPA (Player’s Association) Foundation alongside Chris Paul and Lebron James, and in September of 2017 he became an advocate for global health partnering with Global Citizen. He attended the Global Citizen Festival in New York’s Central Park and shared his story and the organization’s message with thousands of attendees. When he is not playing basketball or giving to others, Serge Ibaka enjoys fashion and music. 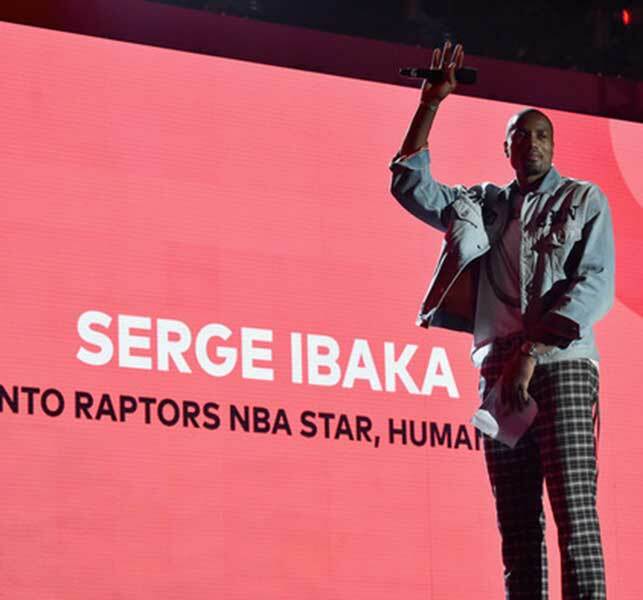 Either participating in fashion editorials and photo shoots or just developing his personal everyday style, either building a music level or singing Congolese music with friends, this personal interests, just like playing basketball and helping others through charity, are what make Serge Ibaka “Mafuzzy”.